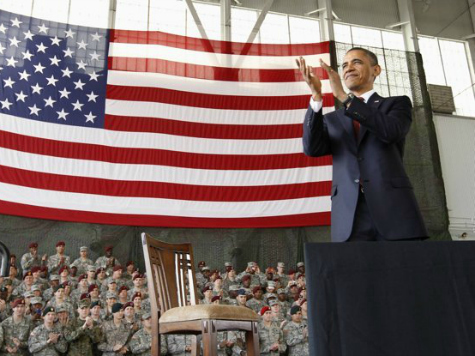 Although President Obama opposed the Iraq War and the Congressional action legalizing it, he will be using the Iraq Authorization for Use of Military Force (AUMF) “for supplementary legal justification” in his coming campaign against ISIS. With American combat troops having completed their withdrawal from Iraq on December 18, 2011, the Iraq AUMF is no longer used for any U.S. government activities and the administration fully supports its repeal. Such a repeal would go much further in giving the American people confidence that ground forces will not be sent to Iraq. This means the AUMF that allowed action against Al Qaeda in countries outside Iraq will be used to justify action against ISIS in that country. On September 11 Breitbart News reported Obama wants to strike ISIS in a limited fashion, following the methodology used against Al Qaeda in Yemen and Somalia. The U.S. has been carrying out air strikes in Yemen for more than a decade, but Al Qaeda in the Arabian Peninsula remains. In Somalia, the U.S. has been fighting a limited war against al-Shabaab and its predecessor since 2006, but Shabaab remains and has been able to broaden the reach of their terror network.